Asurion, the global leader in technology solutions services, today announced it obtained certification as a great workplace by the independent analysts at Great Place to Work®. Asurion earned the nationwide workplace credential based on extensive ratings provided by its employees in anonymous surveys, in which 88 percent of those surveyed noted Asurion as a great place to work1. In addition, employees gave high marks for the pride they have in the Company as well as Asurion’s atmosphere and strong communication across the organization. A summary of these ratings can be found at http://reviews.greatplacetowork.com/asurion. • A non-profit fund that empowers employees to help each other in times of life crisis. Every penny donated by employees and the company goes directly to helping fellow employees get back on their feet financially when unforeseen events strike. This year alone, the fund gave more than $325,000 in grants to employees in Houston, Florida and Puerto Rico who lives were impacted by hurricanes. Great Place to Work® is the global authority on high-trust, high-performance workplace cultures. 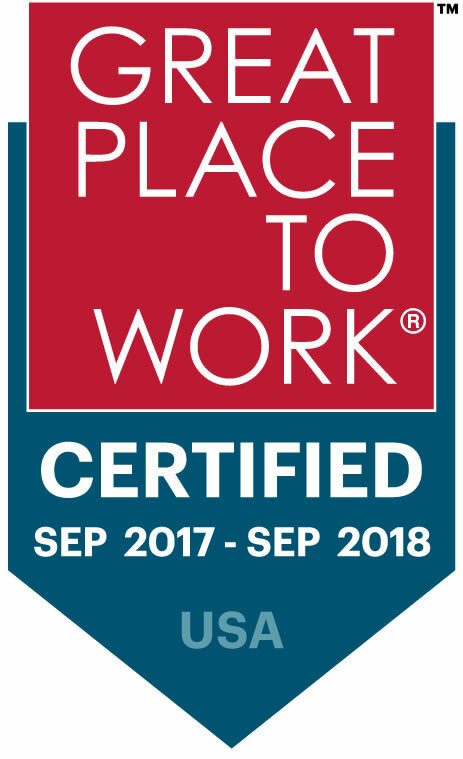 Through proprietary assessment tools, advisory services, and certification programs, including Best Workplaces lists and workplace reviews, Great Place to Work® provides the benchmarks, framework, and expertise needed to create, sustain, and recognize outstanding workplace cultures. In the United States, Great Place to Work® produces the annual Fortune “100 Best Companies to Work For®” list and a series of Great Place to Work® Best Workplaces lists including lists for Millennials, Women, Diversity, Small and Medium Companies and over a half dozen different industry lists. Follow Great Place to Work online at www.greatplacetowork.com and on Twitter at @GPTW_US. 1 Asurion employees completed 1224 surveys, resulting in a 90 percent confidence level and a margin of error of ± 2.20. Asurion helps people protect, connect and enjoy the latest tech – to make life a little easier. Every day our 19,000 experts help more than 300 million people around the world solve the most common and uncommon tech issues. We’re just a call, tap, click or visit away for everything from getting a next-day replacement of your smartphone, to helping you stream or connect with no buffering, bumps or bewilderment. We think you should stay connected and get the most from the tech you love... no matter the type of tech or where you purchased it.